At present, half of Mauritania’s Haratin population exists as de facto slaves. Traditionally, the Haratin men work in the farmland, whilst Haratin women are made to do domestic work. Those who have been freed face persistent discrimination in education, healthcare, land rights and employment, in addition to political marginalisation. Haratin activists are frequently arrested, beaten and harassed by the authorities whilst engaging in peaceful initiatives. The Initiative pour la Résurgence du Mouvement Abolitionniste en Mauritanie (IRA-Mauritania) has been a member of UNPO since 2011. 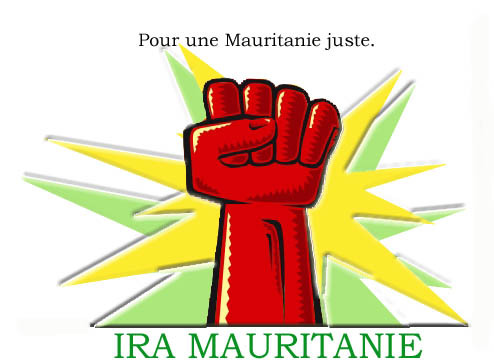 Still not recognized by the government of Mauritania, IRA was created as a part of an effort to unite anti-slavery activists and coordinate actions. Nouakchott must bring its domestic laws into line with international law and remove reservations on fundamental human rights treaties which, through the elevation of Sharia law, oppress Haratin. Nouakchott should improve the rights of all minorities in Mauritania, particularly the Haratin community, via better engagement. The Haratin have been internationally recognised for their use of peaceful and nonviolent means to attain their rights, thus providing a perfect environment in which Nouakchott can engage. The Haratin people of Mauritania endure harsh living conditions and discrimination. Slavery is still rife and the practice remains entrenched in Mauritanian society. The overwhelming majority of slaves are Haratin women and children who are “inherited” by slave-owning families from one generation to the next. Despite recent legislation outlawing slavery, criminalising the practice, and making slavery a crime against humanity, these are not enforced and the government resists attempts by NGOs and individuals at tackling the issue. Freedom for slaves and their children is no panacea either, for they are often denied access to education, economic advancement, and political representation. Slavery in Mauritania was abolished several times in recent history: in 1905 by French colonial authorities; in 1961 after the Universal Declaration of Human Rights was incorporated into the Mauritania Constitution; and with the 1981 Abolition of Slavery Decree. Mauritania criminalised slavery in a landmark 2007 Anti-Slavery Law under considerable international pressure. However, the law inadequately defines slavery and provides no initiative to support freed slaves in building a new life. The enforcement of these laws is further undermined by the requirement that slaves must file legal complaints themselves to trigger prosecution, as NGOs are not allowed to make complaints on their behalf. Since the act does not include any measure for publicising its provisions to the general population, many Haratin have never heard of the law criminalising slavery, are still unaware of the abolition of slavery, and regard the practice as normal. In 2011, the first conviction under the Anti-Slavery Law was made, but only a handful of cases have been to trial and resulted in convictions since. Indeed, the government’s measures against slavery have been largely symbolic. For most recent news on the anti-slavery movement in Mauritania, take a look at UNPO timeline on the Haratin. Please download our Haratin Member profile brochure or the Haratin Briefing Note to learn more.